Although Kentucky was granted statehood in 1792, the portion of the state that lies west of the Tennessee River (including part of Livingston County) was Indian territory until purchased by US President Andrew from the Chickasaw in 1818. 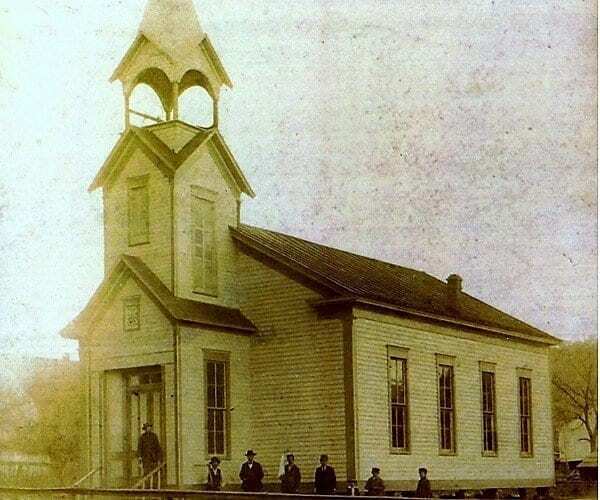 Although officially part of Chickasaw territory, Livingston County was established in 1798. The expansive original land mass of Livingston County included what is today part of Caldwell, Crittenden and McCracken Counties. In the early 1800’s the area was a new frontier, filled with rich farm land and accessible by rivers. Livingston County is named for Robert R. Livingston, a member of the committee that drafted the Declaration of Independence. Visit these historic sites and discovery more of the story. 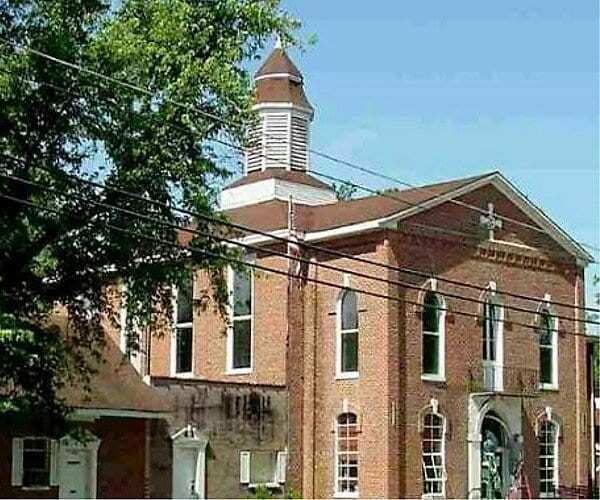 The Carrsville History Museum is located in the old Methodist Church building, and exhibits include Carrsville historical items. Built in 1875, the church was constructed to resemble New England style churches. Special thank you to Roger Dale Morris who donated the church building to the Carrsville Community Association. Many have worked to preserve the history of Carrsville and its people by collecting historical items and knowledge for the museum. The museum is open on Sundays from 2-4 pm. Kentucky remained neutral during the American Civil War, but Union General Ulysses S. Grant ordered the construction of two forts in Kentucky, one at Smithland. 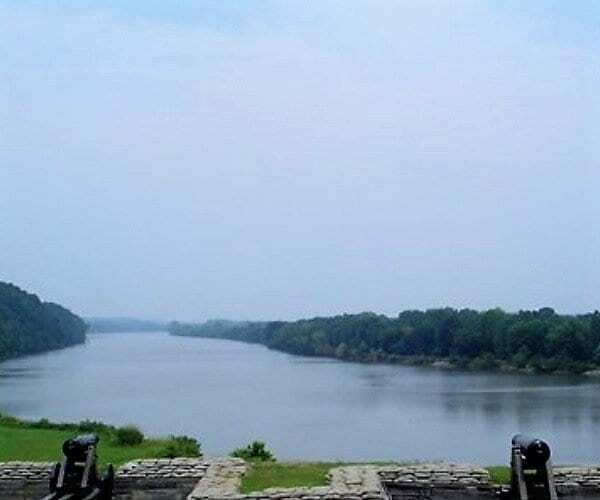 Smithland was chosen for its location at the confluence of the Cumberland and Ohio Rivers. Fort Smith was an encampment and fortification complex constructed in September 1861. 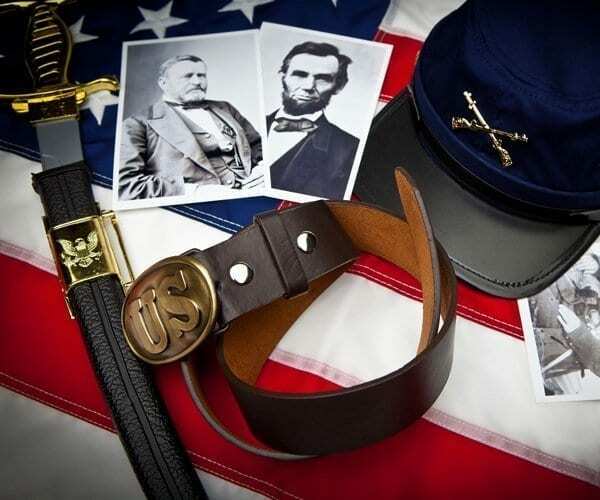 The fort was manned by the 11th Indiana infantry, and the 8th U.S. Colored Heavy Artillery. The Battle of Smithland Re-enactment is held each year during the last weekend of April. 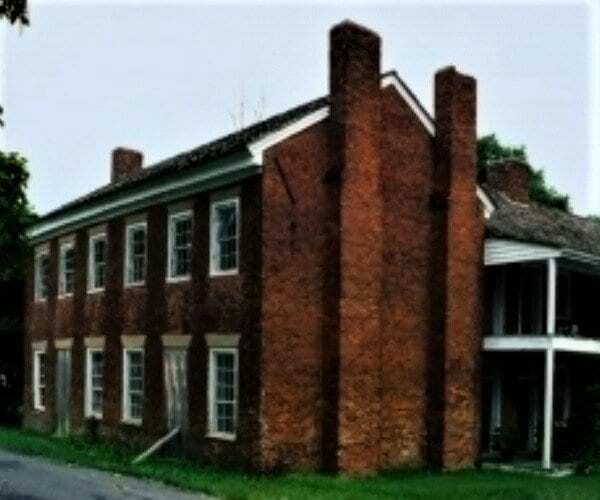 Erected in 1780 in the Georgian Federal style, the Gower House was once an inn on the Ohio River. It contained 14 rooms and 13 fireplaces. The Gower House accommodated many famous travelers including Presidents James K. Polk, Zachary Taylor, Clara Barton, Charles Dickens, Andrew Jackson, and Henry Clay. The property is privately owned, and is currently not in use. The property is listed on the U.S. National Register of Historic Places. 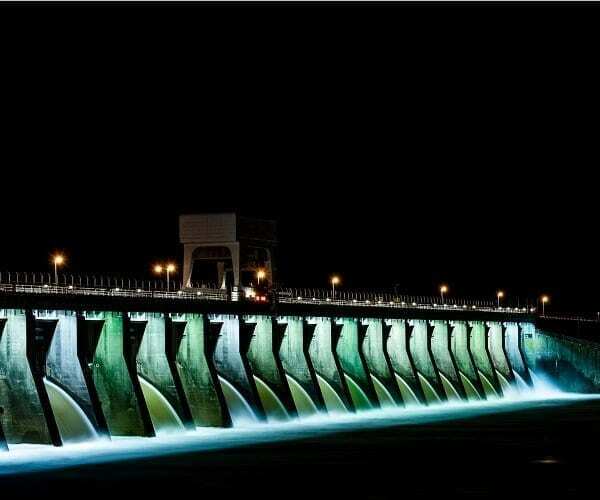 Kentucky Dam is a hydroelectric dam on the Tennessee River. Kentucky Lake was formed with the construction of the dam. The dam is owned and operated by the Tennessee Valley Authority. A major project of President Franklin Roosevelt’s New Deal, construction began in May 1938 and was completed in 1944. It was listed on the National Register of Historic Places in 2017. 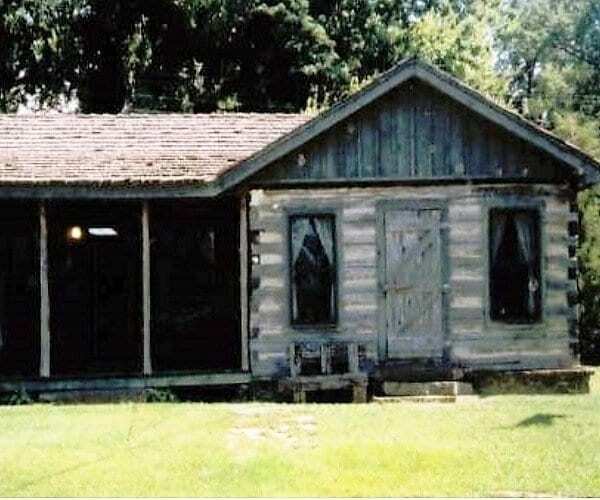 This single room log cabin was found inside the siding of an old house. After a search of deeds, it was estimated that the cabin was built in the 1834-1836 timeframe. The cabin was restored in 1992 and is now the home of the Livingston County Historical & Genealogical Society. The Cabin is open Mondays through Fridays, 1-4 pm. The construction of the Livingston county historical courthouse was authorized after Smithland became the Livingston County Seat in 1841. The old courthouse was built in 1844-1845, in a Greek revival/ Romanesque style. This building is one of Kentucky’s oldest courthouses and was listed on the National Register of Historic Places in 2004. Designed Nature Conservancy Preserve, Certified site on the Trail of Tears National Historic Trail and listed on the National Registry of Historic Places. The National Historic Trail of Tears follows the route of the 1838-1839 forced migration of the Cherokee Nation. 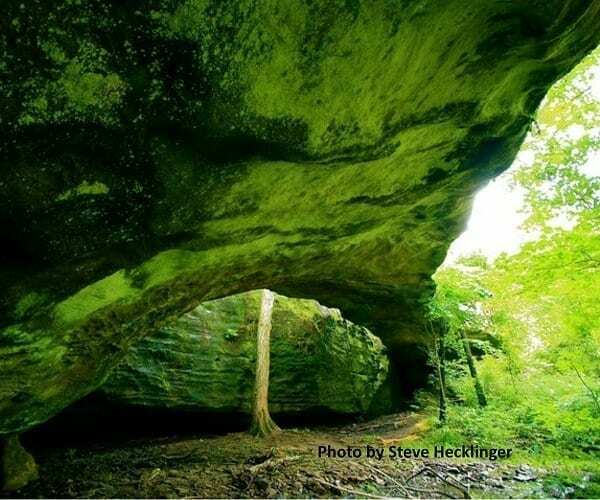 Mantle Rock ( a 30-foot high natural sandstone bridge spanning 188 feet), is accessible by single track natural trail via hiking. Trails are open from sunrise to sunset. 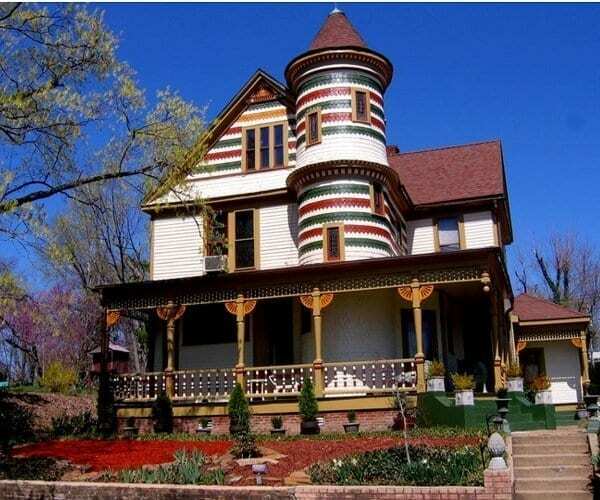 The Thomas Lawson House is a two-and-a-half story Queen Anne-style house and was listed on the National Register of Historic Places in 1978. The home was constructed in 1895. The home was built by Grand Rivers founder Thomas Lawson and is a reminder of the brief iron boom era of the late 19th century. The boom created a city of several thousand people with fine homes, an iron furnace, machine shop, hotel and other substantial commercial structures. 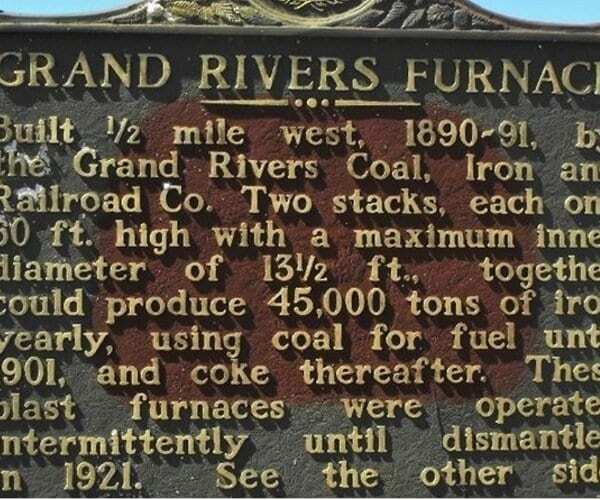 The furnace was located 1/2 mile west of the marker, and built in 1890~91, by Thomas Lawson’s Grand Rivers Company. Two stacks, each one 60 foot high, together could produce 45,000 tons of Iron yearly, using coal for fuel until 1901, and coke after that. These blast furnaces were dismantled in 1921. Roadside Marker to commemorate the burial site of Lucy Jefferson Lewis. 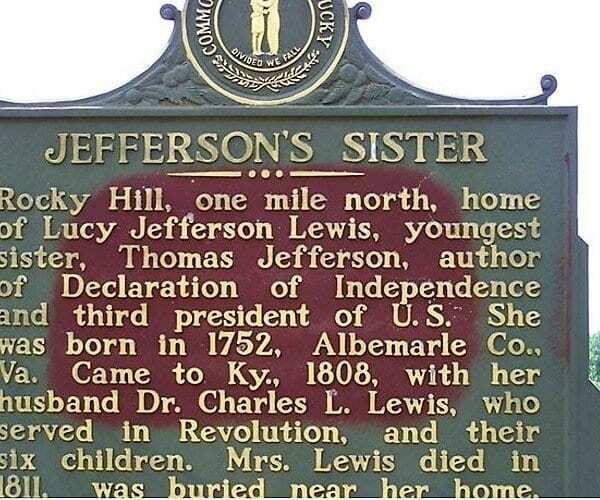 Born in 1752, Lucy Jefferson Lewis was the youngest sister of U.S. President Thomas Jefferson. Lucy moved to Livingston County in 1808 with her Husband. Mrs. Lewis died in 1811 and was buried near her home in Rocky Hill. The maker is located beside the Old Courthouse in Smithland, KY. The marker commemorates the namesake of Livingston County, Robert R. Livingston. 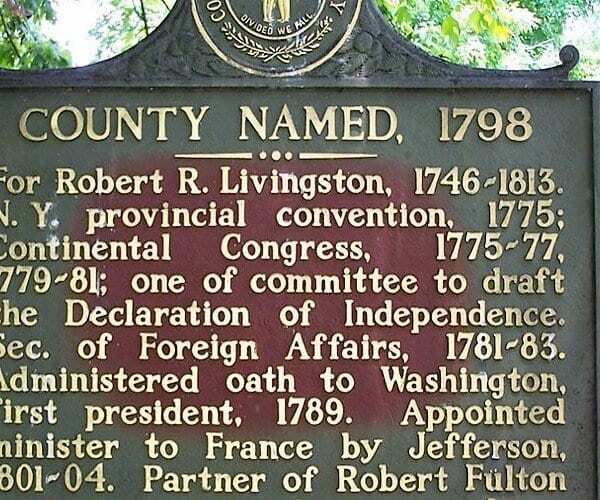 Robert Livingston was a member of the Committee of Five that drafted the Declaration of Independence. The visitor center includes an exhibit of historical photographs and interpretive messages sharing the rich heritage of the land and the people of the Between the Rivers area. 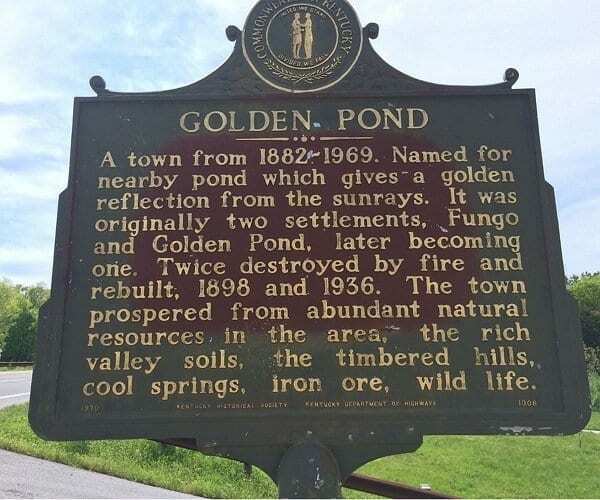 Also, visit Golden Pond Interpretive Overlook located along US 68/KY 80. The former residents of Golden Pond were key in the development of the content, and the overlook tells their story. A Living History Museum and working farm located in southern Land Between The Lakes. Experience life on the farm in the mid-1800’s. 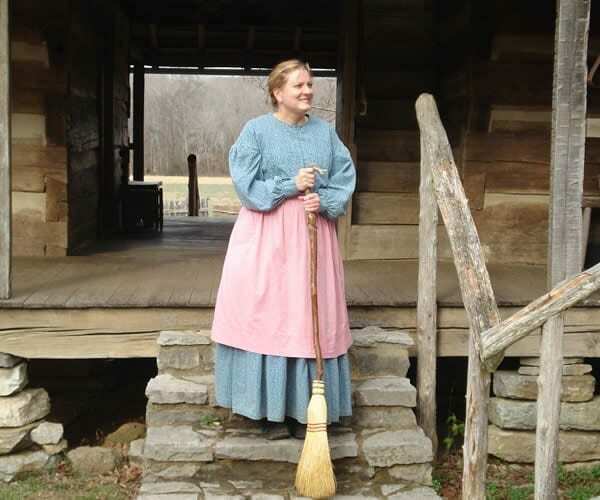 Interpreters dressed in period clothing, restored historic log cabins and structures, farm animals, and traditional seasonal activities step you back in time to relive life on a farm before the Civil War. 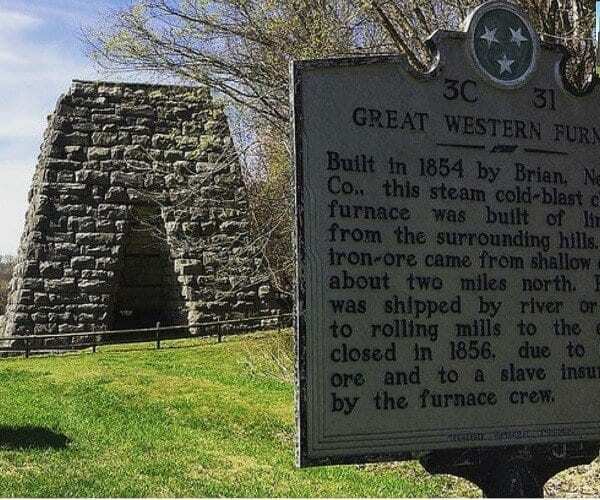 The Great Western Iron Furnace is located on the site where Model, TN, once stood. The Furnace remains are located along The Trace, south of The Homeplace 1850’s Living History Museum. The area iron furnaces of the mid- to late-1800’s contributed to a regional industry that stretched from Western Kentucky to Middle Tennessee. Located one hour south of Livingston County in Dover, TN, you can drive the Woodlands Trace National Scenic Byway from Grand Rivers, KY south to Dover. Fort Donelson was a fortress built by the Confederacy during the American Civil War to control the Cumberland River leading to the heart of Tennessee, and the heart of the Confederacy. The Union Army of Tennessee, commanded by Major General Ulysses S. Grant, captured the fort from the Confederate Army in the Battle of Fort Donelson in February 1862.